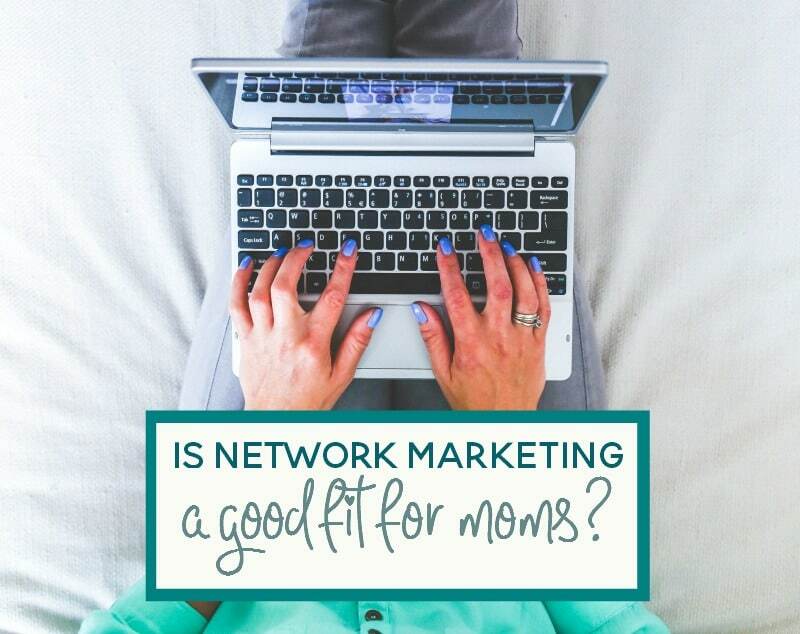 Is Network Marketing a Good Fit for Moms Who Want to Work at Home? As you know, I’m making the transition from being a stay at home mom to being a work at home mom. The transition hasn’t always been easy as I’m also trying to figure out what the base of my work will be. Sure, it may seem simple enough- brainstorm a list of ideas for working at home and then go from there. But that’s in theory and sometimes theory is a lot easier than putting everything into action. I’ve had many business ideas in the past, most of which never came to fruition. And that was all for lack of taking action. So if there’s anyone to blame for my non-business success? It’s me. So why is it different now? Why do I still feel compelled to pursue working at home and making it a viable option? I have nothing against working moms or moms who work outside of the home. But I know that it’s just not for me. While I may have wanted to pursue my degree in psychology, my career goals and aspirations have changed. If I do pursue my bachelor’s degree, it would be in communications. In fact, I have my whole higher education plan mapped out. Not as my alternative to what I’m doing now, but as a supplement. But what else can I do? What else can I add in that won’t take away from blogging? As I was brainstorming options, network marketing came to mind. 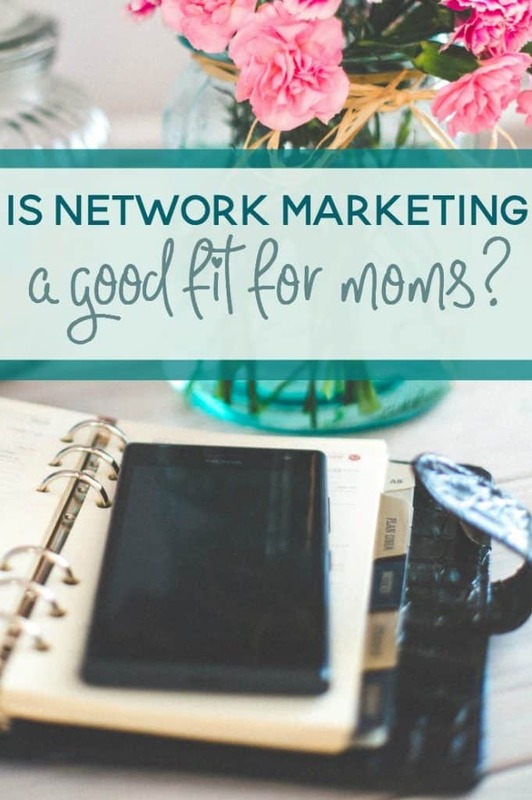 But is networking marketing a good fit for moms who want to work at home? And can I really make this work without taking too much time away from my blog? An important part of working from home is letting others know you have a business and this is done through networking. Network marketing is not always easy for everyone. There are individuals who are very natural at talking with others and find it quite easy to be in a room full of strangers and talk about what they have to offer. Then there are those terrified of the idea of network marketing and would prefer to stay home and pay someone else to do this portion of the business for them. Network marketing does not have to be a horrible experience for you and you do not have to have a panic attack at the thought of attending one. When you prepare for network marketing and do not go in with your eyes closed, you will find that it will make an enormous difference in the productivity of your business. Network marketing can be beneficial in building a plethora of resources and contacts that you can have at your fingertips to propel your business forward. Decide in advance how many people you want to talk to and do just that. If it is your first time, you may only want to talk to three people. Although once you are there, you will probably find yourself relaxing and notice that you came home with more than three contacts. Do not forget the business cards of the people you meet. In the excitement, you may forget their names. It is a good idea to jot down some relevant information on the back of the card to help you remember why or why not you like that particular contact. In order for your home business to be successful, you have to make your presence known. You can do this through advertising and word-of-mouth. However, staying inside your protective home and never letting anyone know whom you are will not generate many clients or bring an increase in your profits. Go out, have coffee, and talk to others about your services. Walk into businesses that you think will profit from your services and let them know what you have to offer. If you have children in school, you can offer your services to the PTA or other groups that your child may be involved. Do not discount your sphere of influences because it is from this circle that your business will grow. If you are a mom looking for an at-home business, you might be tempted by a multi-level marketing opportunity, like selling Avon or Pampered Chef. But there are literally hundreds of products you could sell and as many companies you could work for selling those products. How do you choose the one that’s right for you? Let’s look at some criteria to help. Network marketing, or MLM if you prefer, is not for everyone. Be sure to weigh both the pros and cons before making the decision. And if you’re in need of companies to consider, check out the Direct Selling Association. « Does Your Child Really Need to Attend an Afterschool Program?